Great Missenden School's RSPCA week was a resounding success! The week of themed assemblies inspired some fantastic celebrations of animals, awareness of animal issues and the work of the RSPCA. We ended RSPCA week in style; Friday was RSPCA Day! 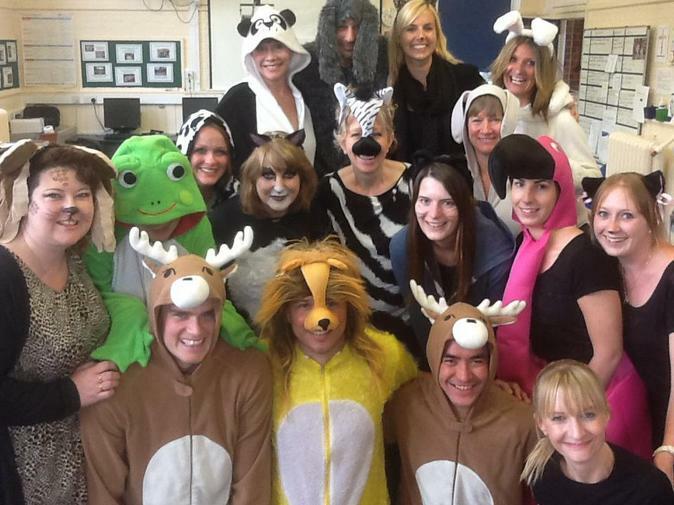 The children were given the opportunity to dress as animal to raise money for the charity, as well as take part in RSPCA themed lesson organised by their teachers (who in Great Missenden tradition, also dressed for the occasion). The RSPCA stall was hugely popular and congratulations go to Sam from Year 5 for winning Bobo, the giant soft Panda! We were delighted that the donations and purchase of RSPCA gifts came to a total of £633.08. What a fantastic outcome! We cannot thank all the children enough for their kindness and generosity. This money will make a real difference to animals in need in our local area.